Chance and Parker connected the moment they met. Parker was a stray that ran up to Chance out of nowhere at the park. After playing for two hours, Parker followed us (Chance) home. That was more than six years ago. He’s been following Chance around ever since. When my living situation forced me to separate these two bonded buddies for five months–from late October 2014 until late March 2015–I was devastated. My boys depended on me, and I had failed them. How would each of them handle this separation? I worried about both of them for different reasons. 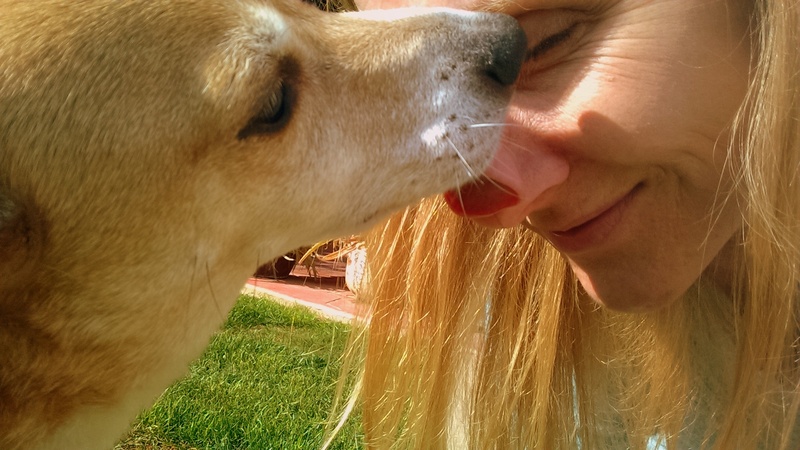 Parker is a sweet, hilarious dog, but without human supervision, he tends to get into a bit of high jinks. The more anxious he feels, the crazier the high jinks. I was certain our separation–especially from Chance–would induce high anxiety. My mom and stepdad kindly and bravely welcomed my 8-year old Corgi-Chihuahua mix into their home for five months. They lived two and a half hours away. I was holding my breath waiting for reports of shredded toilet paper strewn about the house and chewed up shoes. Certainly, Parker would leave behind at least one piece of original artwork. He was a master at mutilating pens and blotting ink onto a carpet canvas. According to Grandma, her doggy grandson was perfect. There were a few t.p. loitering incidents. And, one report of a kitchen table centerpiece that magically made its way off of the table and onto the living room floor. Okay. Not so perfect. He did do well, though. The hardest part with Parker was saying good bye. Chance and I visited him as often as we could for three or four days at a time, but it always ended in good bye. It ripped me apart. It ripped Parker apart. There were times after Chance and I left that Parker would sit staring at the door from which we exited for hours awaiting our return. My mom or stepdad would finally coax him away with a treat or tennis ball. I’m not sure how people part with their dogs at a shelter. Leaving Parker in the great care of loved ones was hard enough. Then, there was Chance. He had never been a single dog during his 11 years. I witnessed him go through a bout of depression when his first sibling–my first dog, Filbert–died in 2006. (Filbert passed away one month after Parker entered our lives.) The experience changed Chance from a goofy, rambunctious child to a wise, mature adult. It also sprouted and solidified his bond with Parker. After the first two weeks of separation from Parker, depression hit. Hard. So hard, Chance was physically ill. He had diarrhea with bright, red blood in it–Hematochezia. It took two weeks, two veterinary visits and the combination of two different antibiotics to clear the infection up. He became so weak that I often had to carry him up and down the stairs of the apartment building we were living in. I was heart sick and terrified he would die. Gratitude filled me when my boy with nine lives pulled through. I wondered how I was going to prevent this from happening again. We still had four months to get through. Then, it occurred to me. This dog is a working dog. Not just any working dog. He is a front-herding Kelpie. He is the boss. He is happiest surrounded by other dogs–making sure they are safe and in their place. 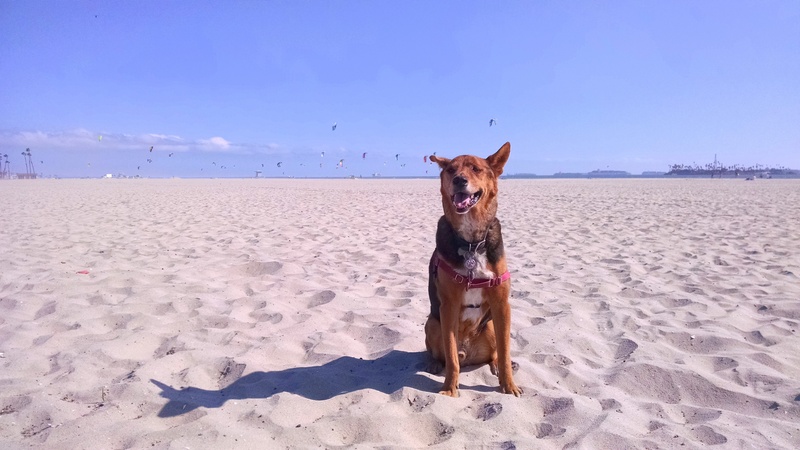 When we weren’t visiting Parker, I made it a point to visit his favorite place: Rosie’s Dog Beach in Long Beach, California. He refused to accept “later” and confidently led me to the beach to see his employees–er, friends. His smile is always large at the beach. Especially, when other canines are around. With the help of family, the beach and canine friends, Chance and Parker made it through our five month separation. It was certainly a struggle for all of us, but we made it. My boys are loving life. Together. 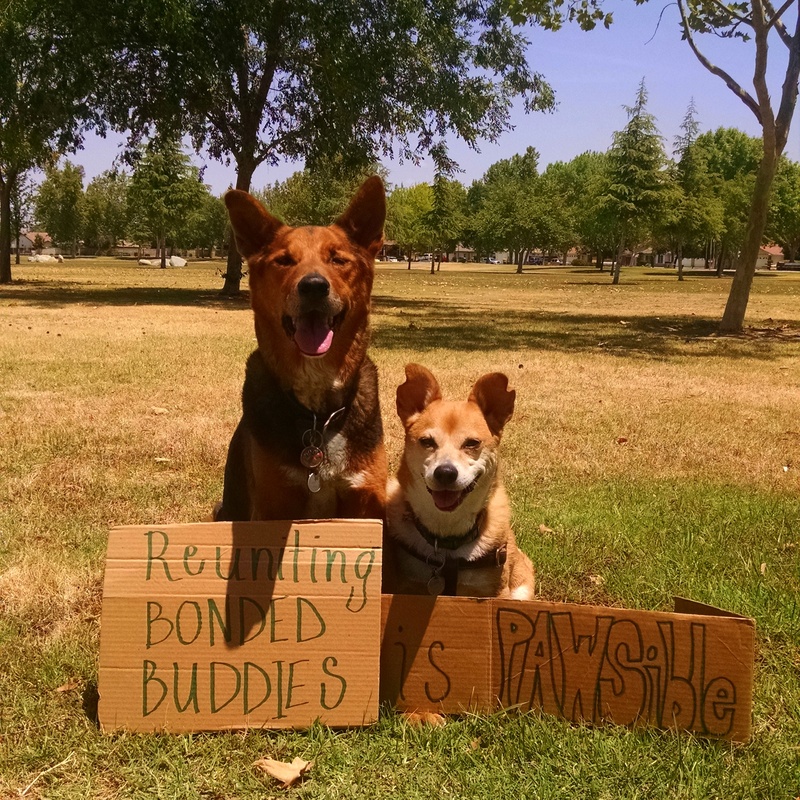 Do you have a bonded pair? Please tell me about them.